In U.S. v. Miranda, defendant Miranda negotiated with an undercover agent to purchase some firearms in exchange for a quantity of heroin. Miranda expressed a strong desire to obtain the firearms right away and he and the undercover agents agreed to exchange 4 handguns and 3 machine guns for 57 grams. Miranda would not even accept money for partial payment; He insisted on a firearm. Miranda was charged with several counts, most relevant was possession of a firearm in furtherance of a drug trafficking crime in violation of 18 U.S.C. §924(c)(1)(A). Miranda appeals the denial of his motion to dismiss and motion for judgment of acquittal, claiming that the possession of the firearms was not in furtherance of a drug trafficking offense. Miranda relied on Watson v. United States and United States v. Montano, two Supreme Court finding passive receipt of firearms did not further a drug trafficking offense. In each of those cases, the Supreme Court said that where the agents bartered for drugs by offering a firearm, it was the agents who were using the firearms and not the defendant. 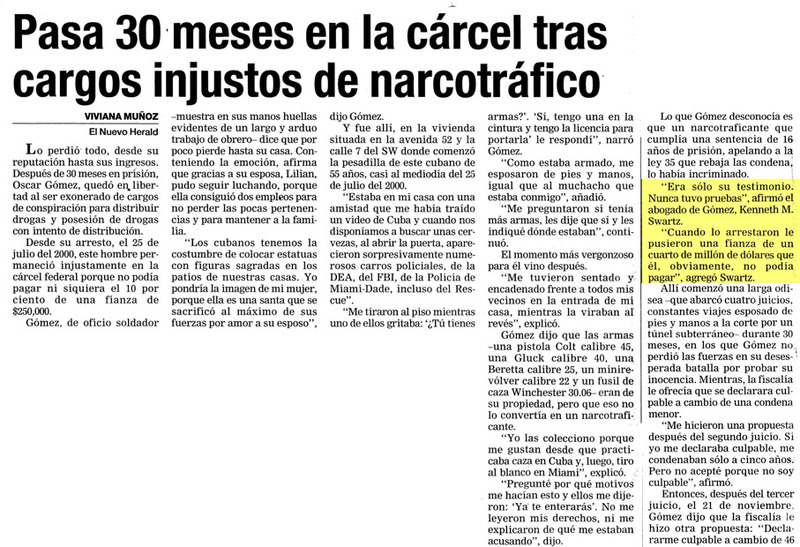 The 11th Circuit found his possession of the firearms was integral to Miranda’s drug trafficking. But for the firearms, the transfer of heroin would not have occurred. He sought to purchase as many firearms as possible and made sure they were operational before turning over 50 grams of heroin. The fact that Miranda demanded the firearms as payment for the drugs was a factor which “furthered, promoted, and advanced” his drug trafficking crime. The 11th Circuit pointed to seven other circuits that have also decided the same: bartering drugs to acquire firearms constitute “possession in furtherance” of a drug trafficking crime. In fact, the court cited a 5th Circuit case which held that the defendant did not have to receive the firearms contemporaneously with delivery of the drugs to commit the offense. The 5th Circuit reasoned that firearms regardless of the timing of their delivery, the guns functioned as the currency used to purchase illegal drugs to further the transaction.